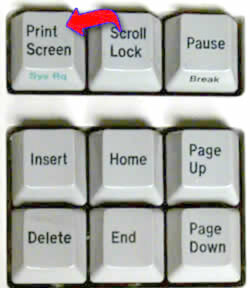 Tech Tips for Writers #124: What the Heck Does ‘Print Screen’ Do? Q: I push ‘PrintScreen’ (or PrtScn) and nothing happens. I have to teach this as a full-blown lesson in my classes because it is so counter-intuitive. When you push PrintScreen, it saves a copy of your screen to the clipboard. Now, you must tell the computer where to put it. For example, open MS Word and a new document. Paste (using Ctrl+V or right click+paste or the icon on the toolbar–or Edit-paste) and a copy of your screen will appear as a picture. It can be pasted into docs, emails, cards, wherever you’d like. Just don’t forget to paste it! Question? Leave a comment here and I’ll answer it within the next thirty days. Jacqui Murray is the author of the popular Building a Midshipman , the story of her daughter’s journey from high school to United States Naval Academy and To Hunt a Sub, her debut fiction. She is the author/editor of over a hundred books on integrating tech into education, adjunct professor of technology in education, webmaster for four blogs, an Amazon Vine Voice book reviewer, a columnist for TeachHUB, monthly contributor to Today’s Author and a freelance journalist on tech ed topics. You can find her nonfiction books at her publisher’s website, Structured Learning. Oh wow, I did not know I had to paste it for print screen to work! I thought my computer was just a little off. lol. Thank you. When I teach that to my students, so many of the PARENTS are shocked. I feel like a magician. That one is definitely my favorite. Glad to make smiles. The only time I use PrintScr anymore is when none of my other print screen tools work. Sigh. Me too. The Print Screen is an emergency backup only. Which–of course, because we’re talking technology–happens more than I’d like. Don’t you love learning new stuff? What a high. I’m a Mac user, and the tip to use COMMAND + 3 or COMMAND + 4 has been one of the most valuable pieces of advice I’ve ever received about using my Mac to the fullest. So much easier than the Grab function that comes with Mac! The shots open in Preview, where you can convert them to jpegs, edit them–for example by adding text or lines–or adjust the size. Or you can just rename them on your desktop and drag them to a folder for future use. I also use the snipping tool when I work on a PC. It’s not as handy, but then, very little on a PC is as handy as the same function on a Mac 🙂 ! So glad you hear your feedback. I don’t use Macs so love getting the opinions of happy users like you. I use this function all the time. It’s so helpful when I’m creating documents and need screenshots. Thanks for the reblog, Lea! Absolutely. You can create your own shortcuts too pretty easily. It’s wonderful. Especially great are the options that let you annotate a screenshot. I use those all the time. Isn’t it great? It shows you immediately what you’ve captured, then let’s you mark it up and save. Pretty easy. Very helpful! My print screen is set up to auto send to my dropbox into a screenshot file! Oooh, I like that a lot. Lovely. It’s free and lets you grab a snippet for an email or a message. Very useful once you get used to it. I use print screen all the time! If you can’t download a photo, you can just print screen it. It’s SO handy! But I’ve never printed my entire screen since I got my Mac. I always just choose the part of the screen I want. I did the whole screen far more often when I had a Windows PC. Windows doesn’t have that handy way to grabbing a portion–well, unless you use the Snipping Tool. I keep forgetting to use this. Thanks for reminding me. It is great. I didn’t really use it until I discovered the downloadable tools that do the same thing only cleaner. Now, I’m addicted. That is a handy thing. It sure is. I use it for lots of stuff. Sometimes, as simple as “I can’t find the save button”! It works great, but needs an update. So few people understand how to use it. You answered my question in your reply to Annika Perry – why and how to use such a tool. Thanks for great info. I love it when I read minds. Sigh. I LOVE print screen, but I have dual monitors and it captures both, so I typically have to edit the image after the capture. It’s one of my favorite tools–that and the clipping tool. Ah, I’ve had that problem, too. Which is probably why I usually opt for one of the device-specific screen grabbers. Snipping Tool, for example. For some reason I often take snapshot on my iPad but not my computer! Probably habit but one to keep in mind. Great info, Jacqui! A lot of my computer screenshots revolve around trying to fix something. Like, I take a screenshot of a problem that showed up and send it to my Fixit Guru. The last few times, I even sent him videos showing what I was trying to do and how it wasn’t working. Went like a charm! My pleasure, Andy. It’s one of those tips you probably don’t need–until you do! I’m reblogging this great post from Jacqui. Loads of useful information. Thanks Jacqui. Thanks for the reblog, Dorne! I use the print screen feature at my day job all of the time. Good stuff, Jacqui. Love hearing that. Years ago, I installed a little program that actually made my Prt Scr key show me what it was doing. It was that annoying having it do it’s thing in silence. Great tip from Jacqui – Be aware also that most screenshots are in PNG format (and therefore large) – so I’d recommend you resize them to fit your blog posts (600 pixels wide MAXIMUM – 450 pixels wide recommended) and convert them into JPG to reduce their impact on your blog storage allowance. It’s a tool I love using so wanted to share. Once you start using it, you find lots of places to do so. great details of step will help and develop better…bravo! Thanks, Rebecca. Anything that helps to clarify, I love. Life is confusing enough without trying to explain with words what a picture does in an instant. I have a Mac and I still don’t know half of what it does a year later!